The Leviathan is the Caldari Titan. The Leviathan is notorious for being one of most resilient ships in the game, contesting the Avatar, Wyvern and Aeon for the top spot. Officer, faction and deadspace modules can boost the resistances of this ship to frankly disgusting levels, enabling it to mount a terrifying buffer tank. Thanks to this, and the fact that armor Titans are far more common than shield Titans, few Leviathans have died compared to other Titans. It was a Leviathan piloted by Goonswarm FC Dabigredboat that sparked the famous Battle of Asakai. In addition, no Leviathans perished during the historic Battle of B-R5RB, a fact partially attributed to their massive EHP. Aside from that, Leviathans are not very popular because armor has been the meta for many years, among other reasons, so most Leviathans are delegated as Bridging Titans. In particular, while they can attain huge alpha damage from XL cruise missiles, they lack the reload time bonus of the Phoenix class dreadnought, and the missile application is rather poor. XL Torpedos have even worse application than XL cruise missiles, so the only other option is Rapid Torpedo Launchers (HAW) which is a poor choice against other large capital ships. 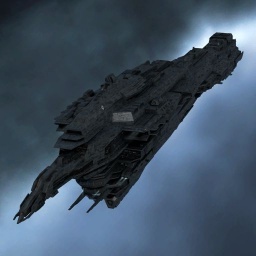 Recently the Leviathan has come back into view because of the fundamental fact that shield repairs from Force Auxiliary Carriers (FAX / Triage) apply at the start of the cycle, allowing them to stay alive in the face of dozens of hostile Titan doomsdays. As with all Titans, perfect support skills are recommended before flying one, in addition to Caldari Titan V.
Doomsday to suite. Guns to as needed as well. Vulnerable to neuting. If a bridging Titan, then one gun is dropped for a Jump Portal Generator. Phenomena Generators are at FC's call. No sub-article about Leviathan roles or piloting tactics. You can write them here. You can write additional notes for Leviathan here. This page was last modified on 9 September 2018, at 23:46.